Pour the broth into a heavy large saucepan. Cover and bring to a boil over high heat. Season the broth with pepper, to taste. Add the tortellini. Simmer over medium heat until al dente, about 7 minutes. 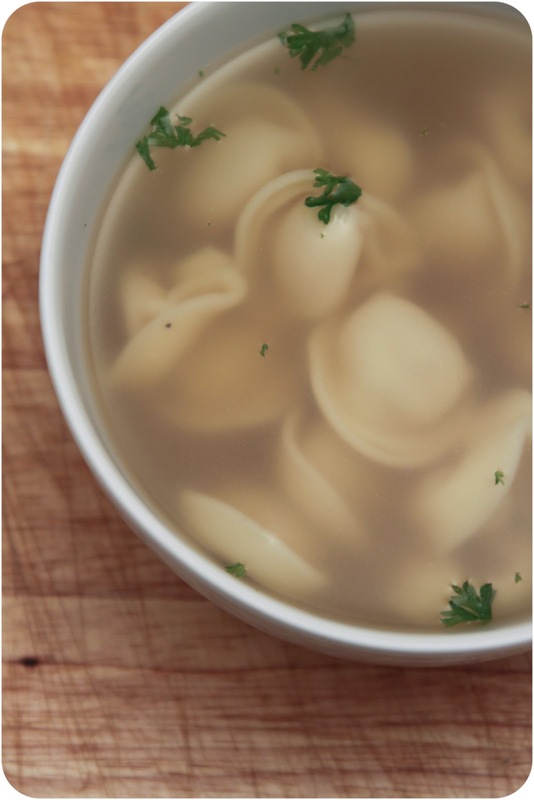 Ladle the broth and tortellini into soup bowls. Top with parsley and serve.